Here at Sleepy’s Fortitude Valley, we take the guesswork out of purchasing a mattress. Our team of highly trained Sleep Consultants will fit you to the mattress best suited to your needs, helping you to achieve a better night’s sleep and be your amazing. Having purchased the ‘wrong’ mattress prior to joining Sleepy’s, I firmly stand behind our 60 Night Comfort Exchange Guarantee — you really don’t know if the bed is right for you until you’ve slept on it for a couple of weeks. We work closely with our local chiropractors and have been trained specifically to make sure you are fitted correctly to the right mattress. We also carry the only mattress range in Australia tested and endorsed by the Chiropractors’ Association of Australia. If you have your mattress delivered, our team will organise to have your old mattress removed at no extra charge, making the whole process seamless. If you are in the local area, make sure you pop in and say hello to our Sleepy’s Fortitude Valley Team. I would like to thank the staff for their enthusiastic approach to customer service and although I had no intentions of buying, I decided to renew my mattress! She is an excellent sales consultant. I would like to acknowledge the recent customer service Sleepy’s have provided to myself and my husband. 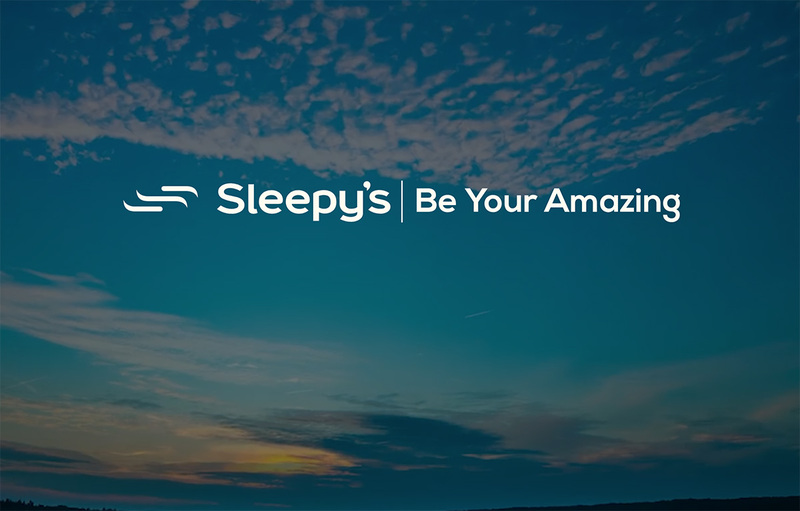 We have given them the complete run-around with purchasing a mattress because we have been indecisive about making the commitment, however the staff at Sleepy’s have been nothing but polite, professional and have honoured any commitment they have made to follow us up. These days outstanding customer service is hard to find so I wanted to take the time to provide feedback on the staff at Sleepy’s. I just love my bed so much! Thank you Sleepy’s for helping me find our perfect bed. Very happy with our experience and the service at Sleepy’s Fortitude Valley. Our concerns and needs were heard, and we found a mattress we both were extremely happy with. We love the mattress, it’s terrific. Very grateful for Sleepy’s ensuring we bought a mattress for the right needs. Thank you to the lovely staff at Sleepy’s for their smiling and professional service. If you need a new bed, Sleepy’s is the place to go! I love my bed so much! Thank you! I just wanted to drop you a quick note to commend the team at Sleepy’s Fortitude Valley on their exemplary customer service. Very refreshing to have someone spend whatever time was necessary to not only recommend options, explain the differences and also go the extra mile in negotiating a mutually acceptable price point… And then meeting delivery time frame objectives too. Very impressed! The team at Sleepy’s Fortitude Valley were excellent and attentive, with good product knowledge, patient, not pushy, and confident of the quality of the product they offered and the advice they gave. They were competitive on price and much more than competitive on the quality of service they offered. The delivery men were very busy and they had a packed schedule, but the team kept us informed throughout the day as to their progress and their likely arrival time, as did the driver, shortly before he arrived. They delivered on the day that the team said they would. The delivery men were very careful, efficient and obliging in rearranging the other mattress we already had, and they had good product knowledge to tell us how to place and arrange the mattress and base. Sleepy’s took the time to explain the zones and why it suited me. Thank you! I made my purchase, on behalf of a client, over the phone and did not enter the store. The team were amazing, over the top helpful and such a pleasure to deal with. They went out of their way to assist. The team were extremely helpful in organising the delivery to my client and kept in contact with my client the whole time. The team were the best salespeople I have experienced in a long time. They went out of their way to assist and exceeded my expectations. Well done Sleepy’s Fortitude Valley Team and I wish you every success. The staff at Sleepy’s in Fortitude Valley are pleasant, informative and helpful, and in my experience provide exceptional customer service. The staff were dedicated to sourcing the products I wanted and ensured that I received them on time. In addition, one product that I needed to send to my son in NSW was delivered without delay. I couldn’t be more satisfied as a customer. I just wanted to let you know how much I appreciated the amazing service I have received from your Fortitude Valley store over the past few days. I experienced some damage in the recent storms, including having my mattress ruined. Sleepy’s wonderful product knowledge, fair dealing on price and lovely manner were all enormously helpful at such a stressful time. Many thanks! I would like to thank Sleepy’s Fortitude Valley for their outstanding customer service. After visiting alternative retailers, we came to the realisation that most sales staff are overly aggressive and lack the care factor and knowledge that Sleepy’s has. They listened to mine and Craig’s neck, back and shoulder concerns before making a recommendation on which mattress would best suit our needs. As they checked our spinal alignment, they also assisted us in choosing the correct pillow for our sleeping position and height. Since purchasing our new mattress, we wake up feeling invigorated and ready for the day without any neck and back pain! Sleepy’s are true professionals with a caring approach — such a rare combination these days. Sleepy’s is very lucky to have such dedicated staff. I just wanted to say a huge thank you to the team at Sleepy’s Fortitude Valley. My partner and I bought a bed from Sleepy’s a few months ago and their help was invaluable. The staff were approachable and catered to our every need (which isn’t easy when one of us is set on a firm mattress and the other wants a soft pillow-y mattress). In the Fortitude Valley complex, there are a whole range of mattress stores, but we think that Sleepy’s got us the best deal, and we’re certain that they gave us the best service. Thank you again. I really appreciate what the team at Sleepy’s Fortitude Valley have done for me, the experience I have received, the outstanding expert advice and service. The team obviously take the Sleepy’s philosophy seriously and deliver exactly that. This for me is a WOW factor, that nothing was too big or small for them to deal with. I wouldn’t hesitate to recommend anyone to the Valley Store if they were wanting to purchase a bed. Very happy and excellent service provided. The ladies were very nice and friendly. Wonderful delivery service, the drivers put it all together and there were no hassles at all. Best of all, comfy bed! My mother, friend and I went into Sleepy’s at Fortitude Valley Homemaker Centre and we were greeted by the lovely team. I’m a student, moving to Adelaide and I needed help organising a mattress here in Brisbane, but to have it delivered from an Adelaide store to my new address. We tried different mattresses, all the while the team telling me which one was better for my back but within my price range. They were even recommending mattresses to my mum who was also hopping on and off them like me. Once done, the team gave me an excellent quote and said they would be more than happy to arrange delivery from an Adelaide store. People like the team at Sleepy’s Fortitude Valley store should be rewarded for their excellent customer service, their kind nature and lovely mannerisms. They were more than willing to help with all of my needs, and that is the reason why I came back. At the end of the day, I didn’t decide on the cheapest mattress, I decided based on the customer service I received. The team is an award to your company and I really hope they get the credit where deserved. At Sleepy’s Fortitude Valley the focus was not “buy, buy, buy”, but with the help of your attentive sales person, it was a discovery to find a suitable bed that was right for me. An efficient method of trying what I liked and what I didn’t narrowed it to a few beds followed by the spinal alignment pictures. These pictures produced interesting results and narrowed the beds down even further with the end result being that I have now a bed that I wake up in every morning feeling relaxed, having had a good night’s sleep. My score for my experience with your Sleepy’s store is 11 out of 10 now that I have ended up with the best bed. The Cocoon mattress recommended for us is absolutely the best mattress we have ever slept on. I work in hotels so bedding is very important to me. Less than 6 months ago, we bought a mattress elsewhere that was meant to be the best of the best and we have been so unhappy. We have been carefully investigating alternatives, especially after I recently broke my collar bone and scapular in a bike accident. We noticed the difference in the service, and the attention Sleepy’s staff paid to our health needs. The staff in Fortitude Valley went above and beyond to help us, and we are so very pleased with their recommendation for my needs!